Aiesh: "I followed my heart"
Continuing in the footsteps of the eleven foreign born players to play for Al-Fida'i in the last three years will be one of the young starts of Swedish Football. Gothenburg native Hosam Aiesh who at only 22 will be eligible to compete at the AFC U22 Championship in January with the Olympic team has declared to OSD Sport his intention to represent Palestine internationally. "My brain said to wait for [the opportunity with] Sweden. Now I have followed my heart and it feels great!" Under former NT manager Jamal Mahmoud, and his assistant Abdallah Al-Farra, defenders Daniel Kabir Mustafa, Alexis Norambuena and Javier Cohene were brought into the fold and reincorporated Imad Zatara and Omar Jarun. 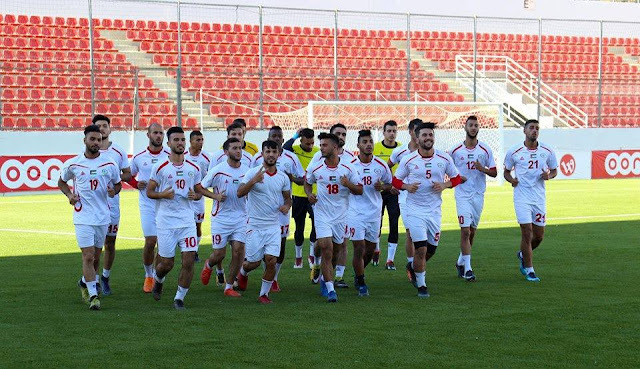 The effort continued after the their departures from the national team set up, with Sweden born Mahmoud Eid debuting in November 2014 and Slovenian-Palestinian Jaka Ihbeisheh making his first national team appearance against Uzbekistan one month later. Under Barakat the search widened and the likes of Pablo Tamburrini, Matías Jadue, Jonathan Cantillana, Ahmed Awad, and Yashir Pinto joined the fold. What can Palestine fans expect from Aiesh? A hard working midfielder who loves to dribble. He is noted for his defensive work and tacking. One would imagine he could dovetail brilliantly with Mus'ab Battat on the right flank- covering for his marauding runs. Aiesh can also provide a lot going forward- his great anticipation results in goals, assists, and awarded penalties. 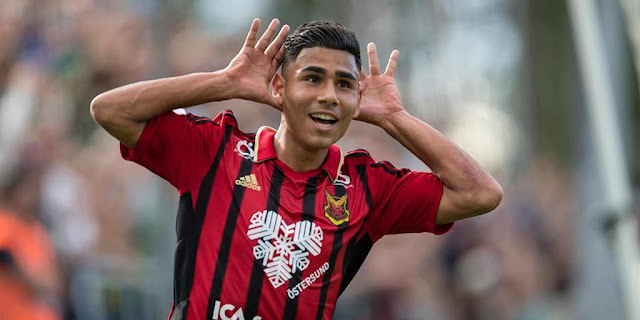 His star is on the rise this year- his four goals in the Svenska Cup- including the winner in the final- saw Östersunds FK lift the trophy and enter the Europa League qualifying stages. The Swedish side has navigated a path past Turkish giants Galatasaray and Luxembourgish minnows Fola Esch with a pair of 3-1 aggregate victories. 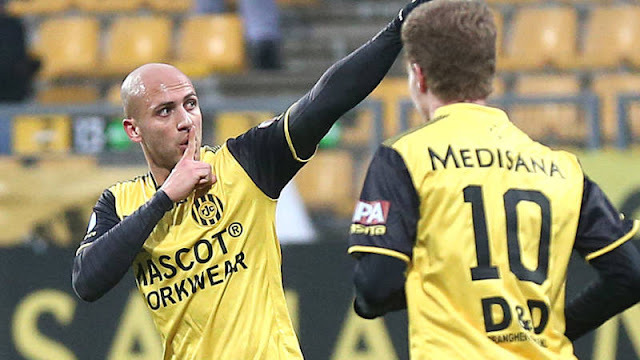 The young midfielder's 180 minutes of Europa League action make him the second most capped Palestinian in the competition behind Alexis Norambuena (360) and another Hosam (Abu Saleh) who played 21 minutes in the 2004 edition of the UEFA Cup. 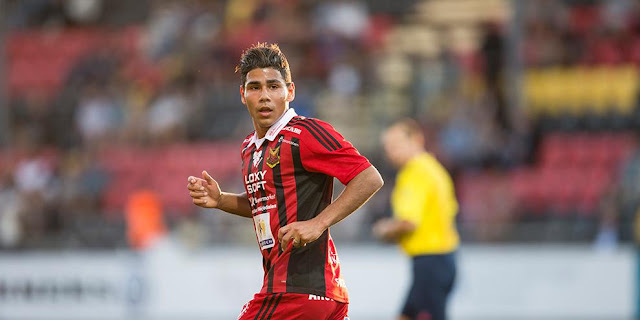 Last week, against Greek side PAOK, Aiesh helped Östersunds open the scoring bursting in the box and winning a penalty for the underdogs. The match ended 3-1 in favor of PAOK but the away goal may prove crucial in their quest to qualify for the Europa League Group Stage. He is expected to join Palestine's national team in late August for practice matches in India ahead of the Timor Leste qualifier.